Hi friends! Today I'm going to talk about soldering irons used for making soldered jewelry. 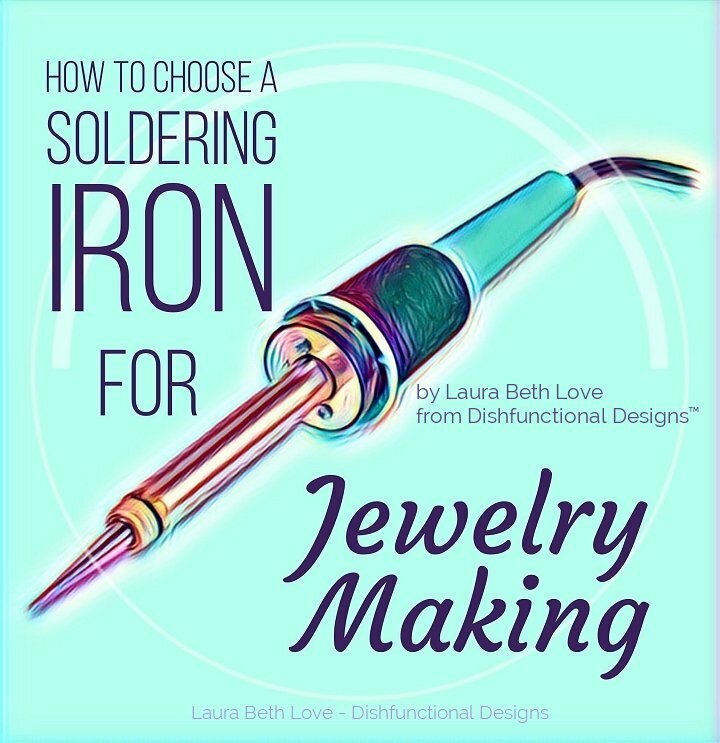 In this article I'll give you some helpful tips for how to choose the right soldering iron for jewelry making, and I'll also explain why I recommend a 100 watt soldering iron for jewelry making. This type of jewelry - that is, jewelry made with a soldering iron - is sometimes called "low temp soldered jewelry" and the term "low temp" is used to differentiate this type of soldering from "high heat soldered jewelry" which would be jewelry that is made with a torch and a flame, such as when you are torch soldering sterling silver. That type of soldering requires an open flame. 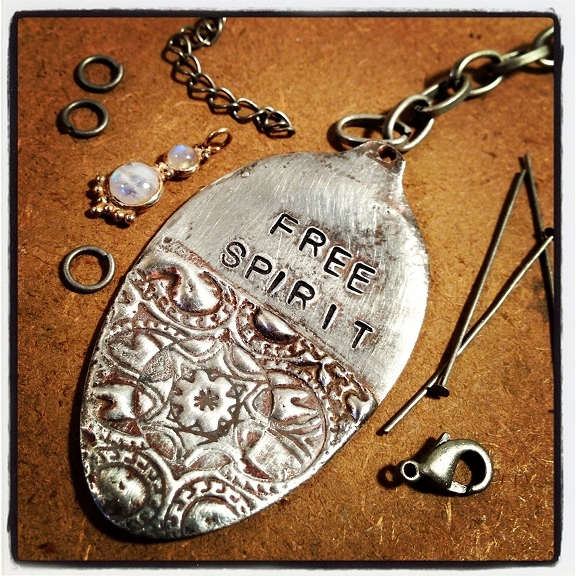 Low temp soldered jewelry does not require an open flame. It only requires a soldering iron. 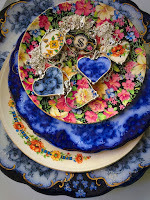 It is also sometimes known as "soft soldered jewelry" but I think "low temp soldered jewelry" is a more accurate title. For the sake of this article, when I say "soldered jewelry" I am talking about jewelry that is created by using a soldering iron. You can buy soldering irons in different wattages. Look at any stained glass catalog and some jewelry making catalogs, and you'll find soldering irons called "irons for the hobbyist," or "irons for professionals," or "craft soldering irons," etc. But exactly what kind of soldering iron do you need for making soldered jewelry? First of all, I get tons of emails from people who want to know what brand soldering iron they should buy. In my books I have recommendations for wattage but not for brands. Why? Because brand is a matter of personal preference. Do I have my favorites? Sure I do. But I've only ever tried a couple different brands of irons so I really can't tell you which is the best. It wouldn't be fair to the ones I haven't tried! But I can tell you this: you get what you pay for. If you buy something very inexpensive called a "hobby soldering iron" that has a low wattage, you won't be able to get good results with it. How do I know this? Because first of all, it won't reach a high enough temperature to melt lead-free solder, and that's what you have to use to make jewelry. Most soldering irons are made for the stained glass industry and so they are made to melt lead which is used to create stained glass, and lead melts at a low temperature. Because we are making jewelry we need to use lead-free solder. Lead-free solder melts at a higher temperature than lead does, so you need a higher wattage iron to be able to work with lead-free solder. 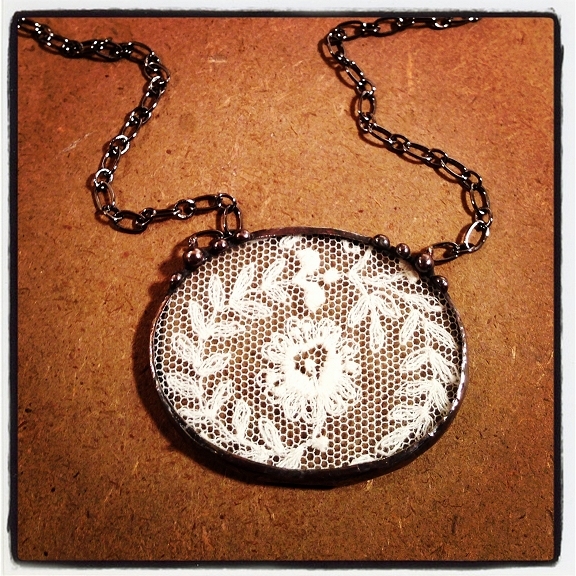 Note: If you use lead solder to make jewelry you are making poisonous jewelry. Using lead to make jewelry is against the law and you could get in much trouble for this. How do you tell the difference between lead solder in jewelry and lead-free solder in jewelry? First of all, The weight. Lead solder is heavy. Second of all, the finish. Lead solder can be polished to a super shiny finish that has virtually no visual imperfections. Lead-free solder will often have a hazy spot here or there and that is just the nature of the beast. It still will polish up to a nice shine with a little bit of elbow grease. Another way to tell whether it is lead or not is to simply do a lead test on that you can buy at a hardware store. And be advised, even if you put a patina on it or other coating, it is still lead and it is still against the law to use it in jewelry. So my point is, never use lead to make jewelry. Only ever use 100 percent lead-free solder. OK, so we have established that you need a high wattage iron so that it can melt the lead-free solder. I recommend a 100 W soldering iron. Sometimes people write to me and ask where they can find one, but all you have to really do is look on the Internet. Can you use an 80 watt iron? 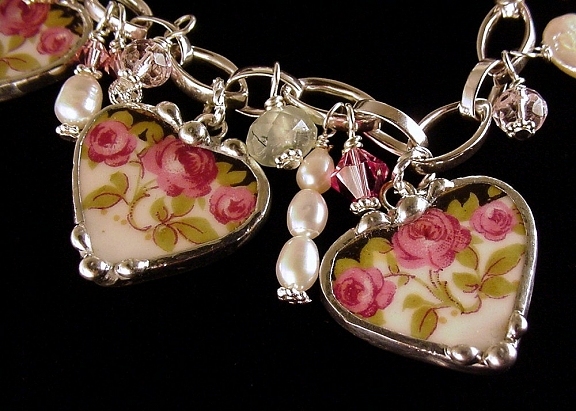 You might be able to, but you might not get as nice of a finish on your jewelry and it might not look as professional. 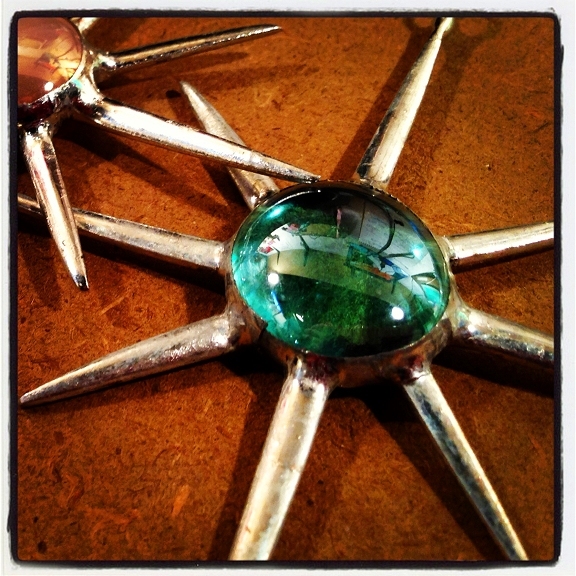 Have you ever seen a piece of soldered jewelry where the metalwork is full of lumps, bumps, and sharp peaks? That is because they did not use the correct temperature - and probably not the correct watt iron - to solder. So if you can, get a 100 watt soldering iron. You will also need a rheostat which is used to adjust the temperature of your iron. You can buy soldering irons that have these built in or you can buy an external one that you plug your iron into. I recommend the external one, but again that is my personal preference. I think they work much better and I think it will prolong the life of your iron in case the rheostat breaks you can always get a new one if it's external. If the rheostat is built into your iron and it breaks, you're kind of out of luck. 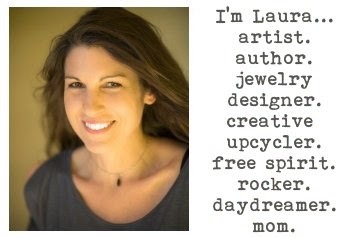 I talk a lot more about soldering in my books, Boho Chic Jewelry and Soldered Alchemy. 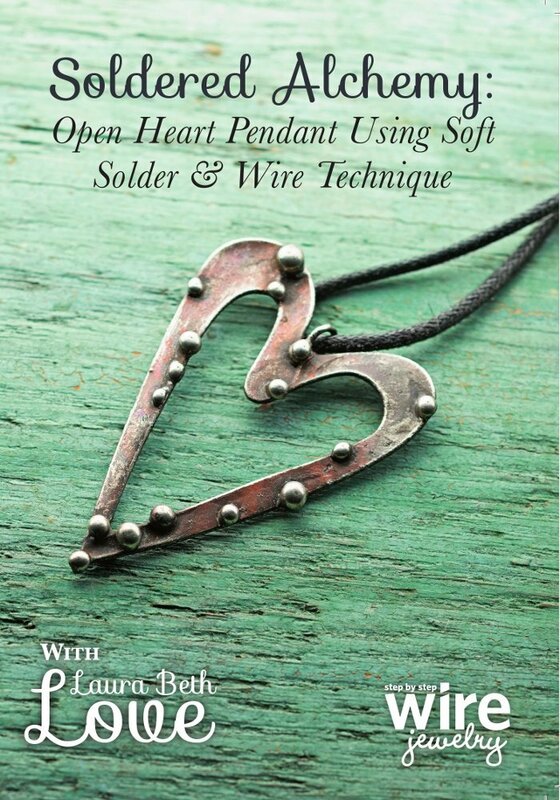 If you are just starting out with soldering I highly recommend that you start with the Boho Chic Jewelry book. 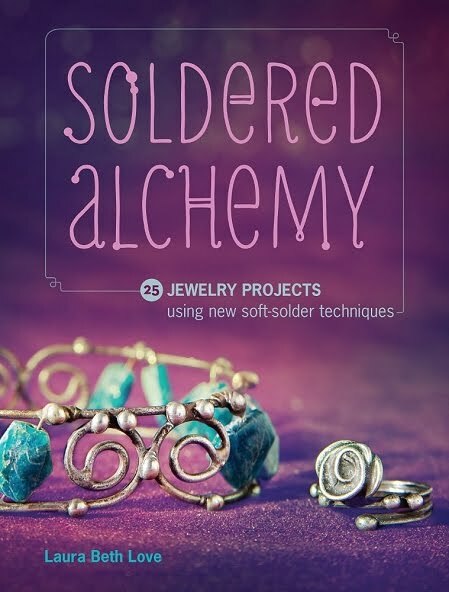 The Soldered Alchemy book is my second book and it is a bit more focused on using solder in a different way, so I always tell folks to start with Boho Chic Jewelry. There you will also find my tips and techniques for decorative soldering and you will learn how I create those perfect little solder droplets to decorate my designs. If you've never soldered jewelry before, or even held a soldering iron, this might seem like a lot of overwhelming information, but it really isn't. Soldering is super fun, and if you have only ever worked with beads or wire and have never used heat to make jewelry, I definitely recommend giving soldering a try. You don't have to go directly from "cold wire" working to using a torch. Try soldering iron soldering! Once you get the hang of it you will be addicted! You can do so many things with a soldering iron! What's especially neat about it is that you can solder items that you wouldn't be able to solder with an open flame torch, such as glass and plastic - which would break or melt from the flame of a traditional torch. So there are definite benefits to soldering iron soldering! 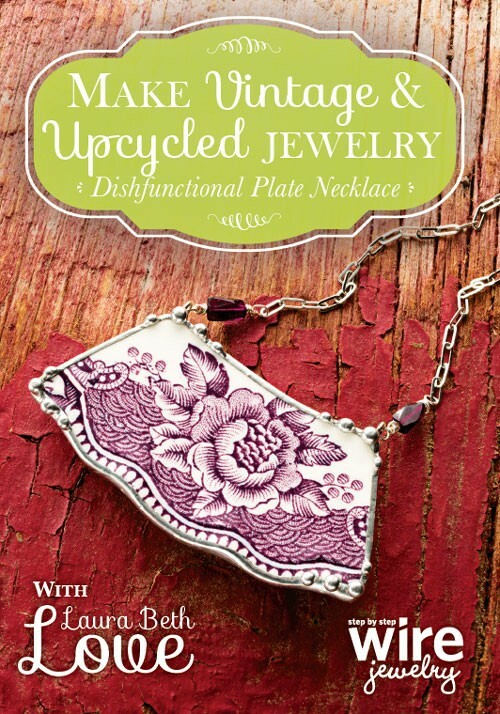 Note: for my complete suggested materials and tools list for soldering, check out my book, Boho Chic Jewelry. I hope this article was helpful and informative. Please leave me a comment below, and let me know what you think of soldering! Also let me know if there's anything else you'd like to see on my blog, and be sure to subscribe to my YouTube channel, where I will be adding new jewelry making and craft videos as I make them! Thanks Diana! You should try it! I just ordered both books. I have not done jewelry making yet. My daughter and I have been collecting stones to do just that. I need to learn to wire wrap and thought the books might help. I know where to get supplies but not what to get, so when the books come I should be able to begin. Good luck with your jewelry making adventures! b4 I go buy a new soldering iron...is 150w soldering gun too high of heat for jewelry.. I took a few months of silversmithing and have some supplies for torch soldering, but having just moved across country, I do not have a studio set up at my disposal right now. Can the same solder used for torch solder be used with a soldering iron? Are the techniques generally the same? Michelle, there is no torch or flame in soldering iron soldering, it is lower temp (less expensive supplies too!) 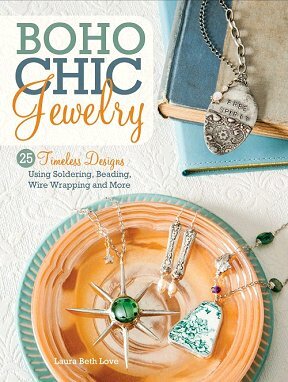 Check out my book Boho Chic Jewelry for complete instructions and tools needed. Hi Laura Just found this and I want to try it!!! Thanks for all of this information. It helps me a lot!! Can you advise whether resin core lead free solder works or is there another kind? Thank you! Does anyone know where to find a rheostat in Europe or UK? I can't find any even after months of looking. I can find soldering irons of 100W, what do I do if I don't have temperature readings? What temperature should be used to solder? can't find this detail in the books.